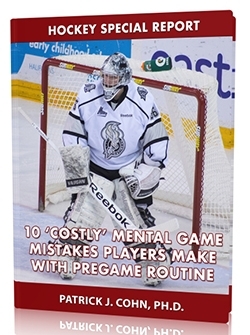 Please browse Hockey Psychology Tips’ articles, videos and podcasts. Contact us if you have a questions on your mental game for hockey. Are You a “Gamer” or “Choker” in The Playoffs? What is mental toughness in hockey? Is the Lightning “Playing Not To Lose” Games? Do You Over-Think Your Hockey Game? Welcome to Hockey Psychology Tips! How Can Hockey Players Improve Confidence?